Includes -Silhouette Curio Pixscan Large Mat 12 inch x 8.5 inch -Silhouette Curio Large Base Base – 8.5-inch x 12-inch Two 1.5mm thick Platforms Two 3.5mm thick Platforms Embossing Mat 8.5 inch x 12-inch Cutting Mat 8.5 inch x 12-inch -Curio Project Starter Guide By Melissa Viscount This starter guide is designed to lend a hand get a new Curio user up and running. It may be very daunting to determine where to start out. This guide will get you began with 5 unique project guides. Projects include a Vinyl Project, Etching Project, Sketch and Cut Project, Stipple Project and a Score & Emboss Project. 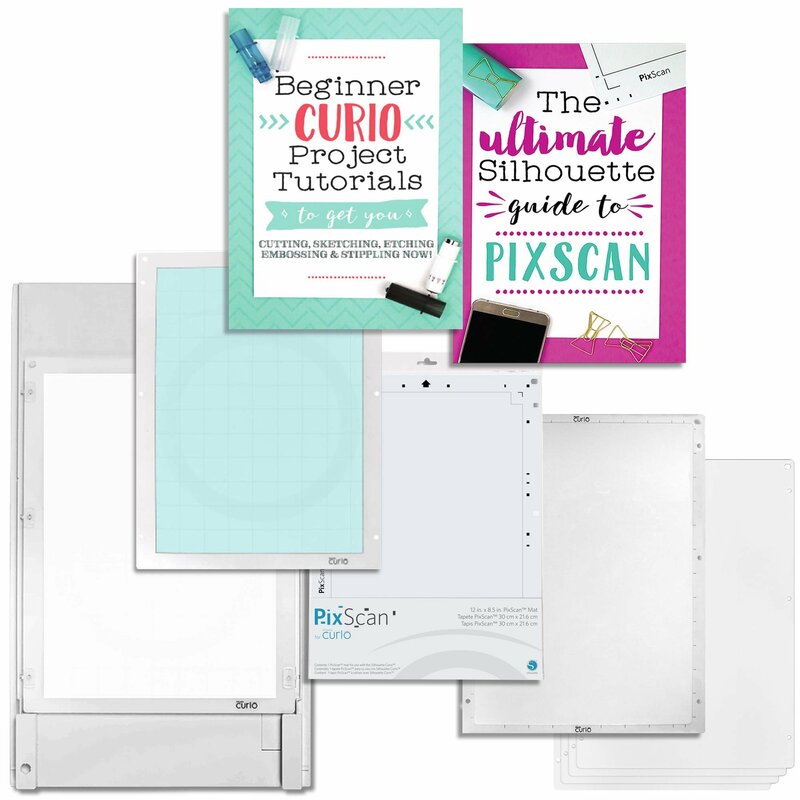 -The Ultimate Silhouette Guide to Pixscan by Melissa Viscount The Ultimate Silhouette Beginner Guide to Pixscan is designed that can assist you learn to use the Pixscan mat and technology. Tutorial examples included within the book are the way to cut out pre-printed designs, the way to cut and nest on scraps so you limit wasted subject material, and more! The Ultimate Silhouette Guide to Pixscan by Melissa Viscount – The Ultimate Silhouette Beginner Guide to Pixscan is designed that can assist you learn to use the Pixscan mat and technology. Tutorial examples included within the book are the way to cut out pre-printed designs, the way to cut and nest on scraps so you limit wasted subject material, and more!